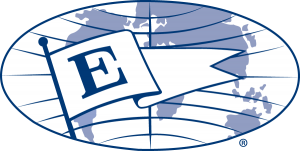 Bestway International > Blog > News > Bestway International Inc., wins President’s “E” Award For Export Service! Bestway International, Inc., is honored to announce that we have been selected to receive the President’s “E” Award for Export Service in recognition of our company’s achievement in making significant contributions to an increase in U.S. exports. This award is the highest recognition any U.S. entity can receive for making a significant contribution to the expansion of U.S. exports. We cannot thank our clients and coworkers enough for everything they’ve done to help us succeed in this industry. The work we do is not always easy, but it is often fun and exciting. The hours can be long and the details can be daunting, but your support and camaraderie is the foundation for our success. Operating every day alongside such a remarkable team of brilliant, dedicated professionals, is our honor and privilege. You’ve made this calling a joyful one, indeed. Bestway International is humbly fortunate to represent a rich variety of clients and partners around the world whose commitment to growth and success inspires us daily. From the bottom of our hearts, we thank everyone who chooses Bestway to represent them in their supply chains. I hope the following press release brings you to the same level of whooping gratitude as it did all of us at Bestway International, Inc. We share it with the same great pride and honor with which we serve each and every one of you. KANSAS CITY, MO — U.S. Secretary of Commerce Wilbur Ross today presented Bestway International, Inc., with the President’s “E” Award for Export Service at a ceremony in Washington, D.C., May 22. “Bestway International has demonstrated a sustained commitment to export expansion,” said Secretary Ross in his congratulatory letter to the company announcing its selection as an award recipient. “The “E” Awards committee was very impressed with Bestway International’s case studies highlighting its contributions to the export growth of its client companies. The company’s four-year record of growth in export shipments was also particularly notable. Bestway International’s achievements have undoubtedly contributed to national export expansion efforts that support the U.S. economy and create Americans jobs,” the Secretary went on to say. Bestway International, Inc., located in Kansas City, Missouri, is a provider of export services for small and medium-sized U.S. businesses, including freight forwarding, international trade consulting, and supply-chain planning, and more.